1 – PARTICIPATION: 1 February to 1 July 2019. The 3rd "BEAVERS LAUGH" Bobritsa Cartoon Competition is open to all graphic artists, who can enter works that have not been awarded until the closing date of the entries, in the cartoon, caricature and comics modalities (The comic strip should have only one page). The opening of the Exhibition will be 7 September 2019, with the official announcement of the winners. Each artist can enroll with the maximum of five (5) UNPUBLISHED works in the preferable format 30x40 cm (А4 minimum) and using any technique. On the back of each drawing, or in registration must include the author's full name, address (with ZIP code), email, phone number, ID number, social security number and bank account (or send this information by email along with electronic copies of the artworks). 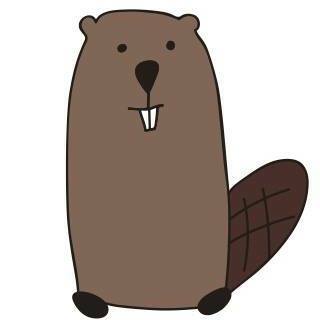 Although the name of the contest is BEAVERS LAUGH (in Ukrainian language the name of the village Bobritsa originates from "beaver"), this does NOT mean that your works should be only about beavers. First of all, they should be smart and funny, please do not restrict yourself by beavers as heroes! But we have a SPECIAL AWARD for beavers’ theme as well! So, if the "heroes" of your artwork are beavers your work shall be considered for BOTH (a) main awards and (b) special award BEAVER AWARD nominations with a chance to win both of them! First prize: euro 500 (five hundred). Appreciation awards (8): euro 150 (one hundred and fifty) each. Special BEAVER AWARD (for artworks where beavers ARE the heroes): euro 300 (three hundred). The awarded works will be considered acquisitive and will become part the property of the organizer, and all winning artist assign their copyright and property rights to the organizer from the date when their artworks were submitted. May not participate in this competition officials of Bobritsa villiage community, their relatives and anyone involved in the organization. The simple inscription configures automatic participant's agreement to all such terms. The award amounts are payable only upon the receipt of the original artworks of the winners by the organizers of the Competition to the personal bank accounts of the winners providing in writing (email) with copies of their passports. The organizer of the completion is Mr. Sergei Konnov (of Bobritsa village community). For any information, please, contact: skonnov@yahoo.com or +380 67 235-2536.